Father Patrick Fagan was an Irishman. 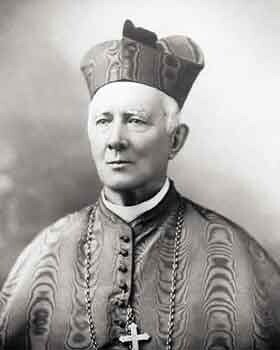 He had given parish mission for five years in England when he was selected for the Australian foundation. His preaching was “discursive and persuasive. He enlisted as an Army Chaplain in 1900. He returned after the war and gave missions until he died in 1913. He was buried in at the Passionist Mary’s Mount Monastery in Goulburn, but later when the Passionists left there, his remains were transferred to Rookwood in Sydney. 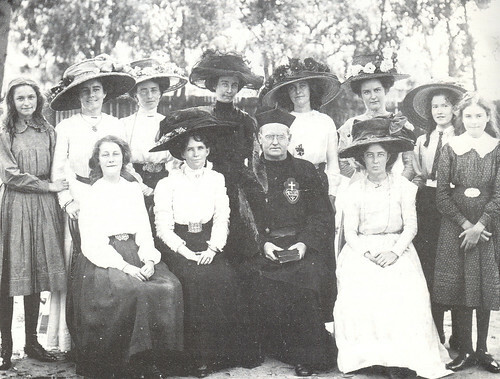 Father Patrick Fagan, C.P., and the St. Bridget’s Parish Ladies’ Choir. “His Eminence congratulated the people of Marrickville on the privilege of having the Passionists established in their district. – Freeman’s Journal, 3rd October 1888. The first Passionists from the Anglo Hibernian Province arrived in Australia on 21st November 1887. They were Father Alphonsus O’Neill, C.P., Father Marcellus Wright, C.P., Father Patrick Fagan, C.P., Father Colman Noonan, C.P. and Brother Lawrence Carr, C.P. 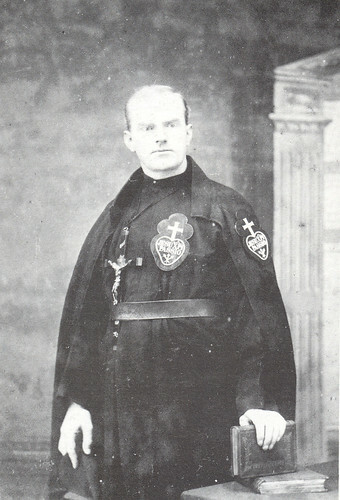 Father Marcellus was a business man when he joined the Passionists at the age of twenty two. When he arrived in Australia he was five years a priest. After ordination, he spent twelve months in the Paris House at Avenue Hoche. Here the English Irish Passionists had served the English-speaking people of Paris since 1863. In the course of his years in Australia, Fr. Marcellus was superior at New Town in Tasmania and at St. Brigid’s, Marrickville and he was the first Novice Master when the Novitiate was established at Mary’s Mount in Goulburn, New South Wales. Little Nicholas Romano, four years old, of Cesca, Italy, benefitted from the intercession of Passionist Grimoaldo Santamaria on 15th May 1982. That day a tractor was parked in the large courtyard of his home with the keys still in the ignition. Nicholas, who had often watched his parental uncle start up the heavy tractor, let his curiosity run away with him. Wanting to imitate his uncle, he climbed into the seat when no one was looking and started the engine. The tractor lunged forward, throwing the boy under the heavy right rear wheel which rolled right over his right cheek and chest. While Nicholas still lay motionless, with light traces of the rubber tyre tread on his face and chest, his father, who had been the accident, instinctively cried out to Grimoaldo to save the boy. Still praying to Grimoaldo, the parents rushed their son to the hospital at Aversa. The doctors there found his face and head uninjured, and wondered whether the Romanos were not imagining things. Mr. Romano was still not satisfied. He took the boy to “Santobono” Hospital at Naples for even a greater number of tests. The conclusion reached was the same as at Aversa: Nicholas’ head and chest were physically sound. Although the tyre weighed over two hundred pounds, it had done him no harm. At Naples, too, the doctors thought the parents’ account of the accident was exaggerated. In the years that followed, the boy was examined again and again, but the examination confirmed his perfect health. In October 1993, the Medical Commission of the Congregation for the Causes of the Saints reached the unanimous conclusion that the preservation of young Nicholas Romano from mortal injury was incapable of scientific explanation. On 2nd July 1994, Pope John Paul II approved the miracle attributed to the intercession of Grimoaldo Santamaria. – taken from The Life of Grimoaldo Santamaria, Passionist Student by Father Pierluigi Mirra, C.P. p. 31 – 32.